More accustomed to reviving the character of historic but tired pubs, the challenge was to create true pub character from scratch. To make it feel like home from home, Peach deliberately made The Almanack like a real house – an open kitchen, stylish dining room and a thoroughly comfortable lounge that happens to serve a great pint. Space worked alongside Peach and the main contractor to create that home from home and realise a highly individual space which still remains true to Peach’s focus on quality, ethics and sustainability. Space’s plan involved a workable scheme for the open kitchen centring upon a clever Charvet modular cooking system capable of turning out a wide range of seasonal dishes. Everything is suited together so it looks smart from the restaurant. 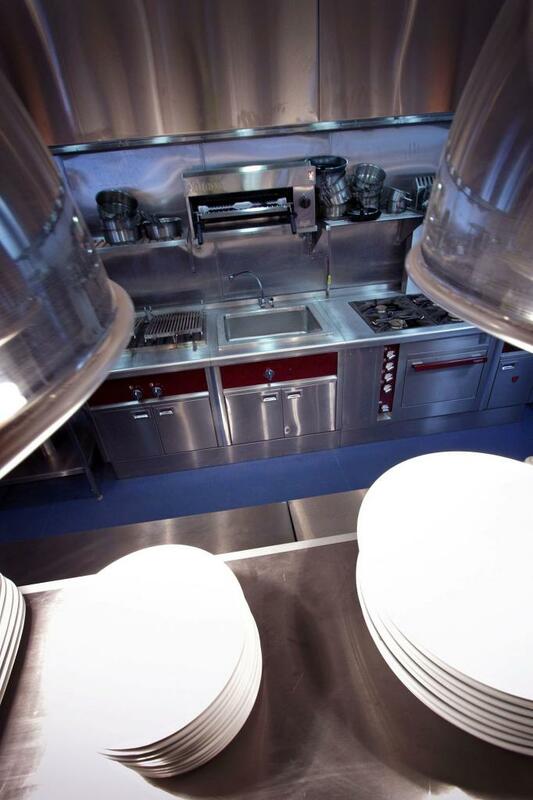 An induction cooker has been incorporated into the cookline to reduce the energy consumption and minimise the kitchen temperature, while the dishwasher re-uses energy from steam and drainage water to help heat the water. A large custom-made hot pass opens out onto the restaurant, with solid wood carving blocks for serving the roast of the day and an open marble-topped deli counter adding up to a very tempting offer. Though large and dramatic, the bar is highly welcoming, with warm red brick, natural timber and gently curved edges. Space has hidden an array of chilled and glass storage behind the façade, with stainless steel sinks and ice wells neatly suited together making it easy for the team to work quickly and efficiently. “Although The Almanack looks very different to our other pubs, it still has the same great Peach product and service ethics,” says Lee Cash, Co-founder of Peach. “Space really understands what we’re all about and has applied their knowledge in this our most ambitious project so far.